The Beerburrum State Forest is located on the Sunshine Coast, just a one-hour drive north of Brisbane. 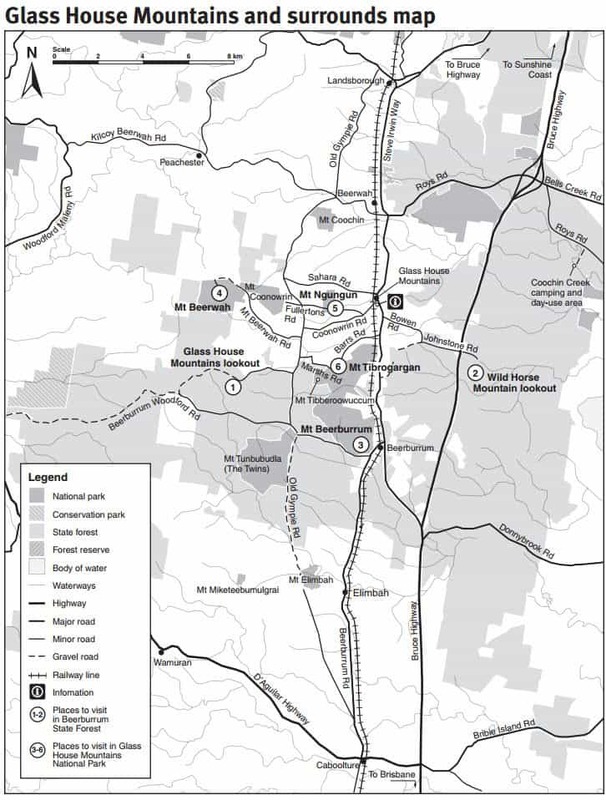 The Beerburrum and Beerwah State Forests are located on both sides of the Bruce Highway. The Beerburrum State Forest is best known for its magnificent views of the Glasshouse Mountains as well as its role in protects the few remaining coastal rainforests in the region. The Beerburrum and Beerwah State Forests include exotic pine plantations, open eucalypt forests, rainforests and coastal wallum remnants. You will find a range of short walks where you can explore the forests which lead to magnificent views of the Glass House Mountains. Many people come to Beerwah and Beerburrun State Forests to go four-wheel-driving, trail bike riding, horse riding and mountain bike riding. Walks within the Beerburrum State Forest include the Glass House Mountains Lookout Track which is an 800m return walk which takes around 45 minutes to complete. Offering panoramic views of the mountain peaks, you will walk through a gum forest, down through a wet eucalypt forest gully, before returning back to the lookout. The second track is the Wild Horse Mountain Lookout Track which is a 1.4km return walk which takes approximately 1 hour to complete. Once at the summit, you will be able to enjoy 360-degree views of Pumicestone Passage, coastal plains, the Glass House Mountains and exotic pine forestry plantations. If you are looking to camp, you will have to go to the Beerwah State Forest and check out the Coochin Creek camping area. Here, you will find a number of campsites which are suitable for tents, caravans or campervans and the sites are equipped with fire rings and toilets. 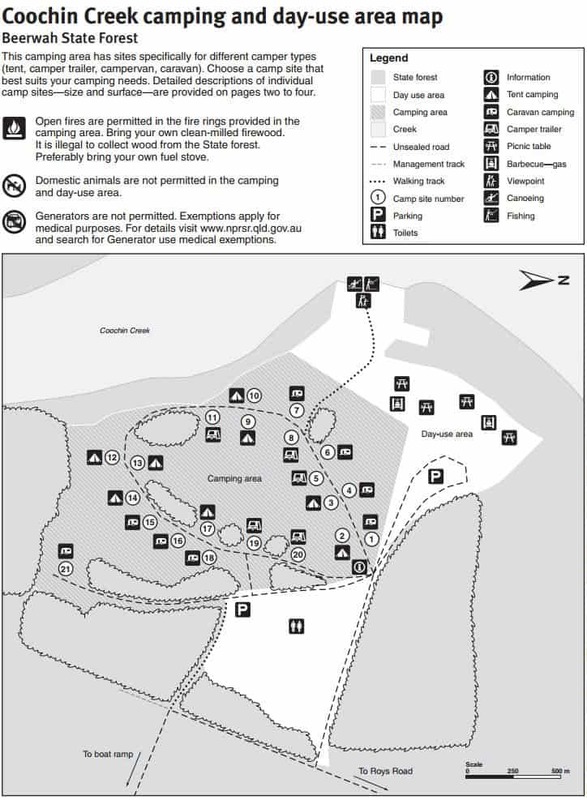 Pets are not permitted at the camping area and visitors should note that camping permits are required and fees apply. Fishing from the creek bank is the most popular activity here and many people also bring canoe’s or kayaks to go for a paddle. You are able to launch the canoe or kayak from the creek bed, but there is also a public boat ramp which provides deep water access to Pumicestone Passage at the end of Roys Road, approximately 7 km east of Coochin Creek camping area. 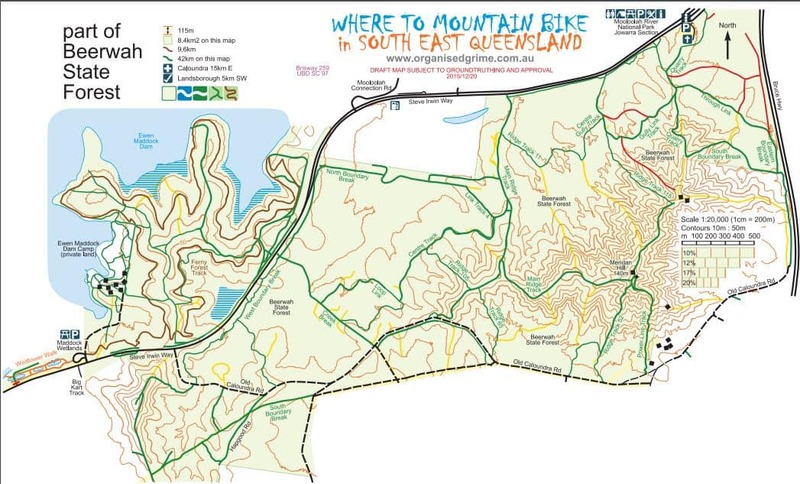 Four-wheel-drive vehicles, trail bikes, mountain bikes may be driven on roads in Beerburrum and Beerwah State Forests and horse riding is also permitted. Dogs are not permitted at the Coochin Creek camping area at Beerwah State Forest, however dogs on leashes are permitted at Glass House Mountains lookout and Wild Horse Mountain lookout in Beerburrum State Forest.